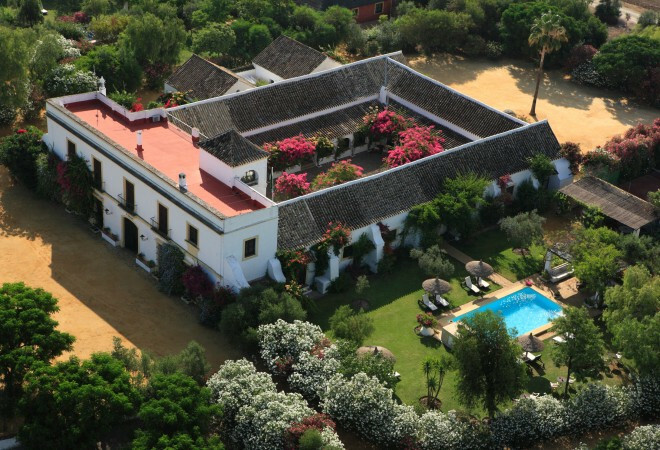 Between Seville and Jerez this rural haven boasts three swimming pools, a tennis court and 35 hectares of gardens and farmland. WiFi is available in all areas and costs EUR 1 per hour. The hotel can organise private tours of Bull breeding farms and depending on the season can get you tickets to watch a fight. The hotel can organise a half day Cooking class in a Seville Restaurant. Nearby you will find the beautiful Montecastillo Golf Club. Just half an hour from Hacienda is Finca La Corbera Equestrian Center where you can ride some magnificent horses. Access to onsite tennis courts is available to all guests. Doñana National Park is one of Europe´s most important wetland reserves and thus one of the best birdwatching spots around.